Andrew joined the Practice in 1984 following studies at Cambridge and Harvard Universities. He has significant and noted experience working on projects of exceptional sensitivity in settings with great heritage value. 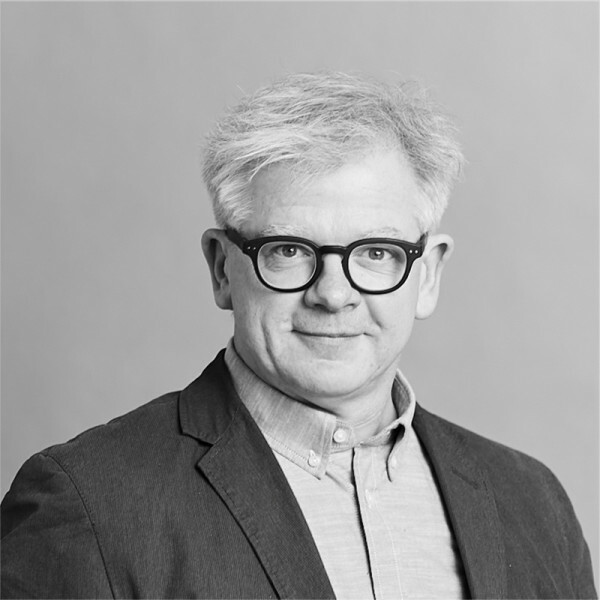 His work with Hopkins Architects began with the Mound Stand at Lord’s Cricket Ground, Bracken House, Wigmore Hall and masterplans for Lord’s Cricket Ground and Victoria & Albert Museum. He then served as Project Architect for Glyndebourne Opera House and led teams for the Hostry and Refectory for Norwich Cathedral, Inn the Park in St James’ Park and the headquarters for the Wellcome Trust in London. He was the Director in charge of Evelina Children’s Hospital, the renovation and expansion of Newton and Arkwright Buildings at Nottingham Trent University and three separate projects at Rice University in Houston (Duncan & McMurtry Colleges, the South Colleges and the East Servery. More recently, he completed an award-winning redevelopment and expansion of The Henrietta Barnett School in Hampstead Garden Suburb, a new Science Building for Benenden School in Kent, and St George’s Chapel in Great Yarmouth. He has just completed a new campus centre for Harvard University, and is currently working on an Athletics Center for Colby College, indoor sports facilities for Eton College, and a Department for AI, Astrophysics, Global Science and Humanities for the University of Exeter. Andrew has taught and examined at Cambridge University and University College London and has lectured widely. He sits on the RIBA Health Forum and has been a Juror for the RIBA and Civic Trust Awards. He designed and built his own houses in Swiss Cottage, London and the Scottish Highlands, which have won many awards.